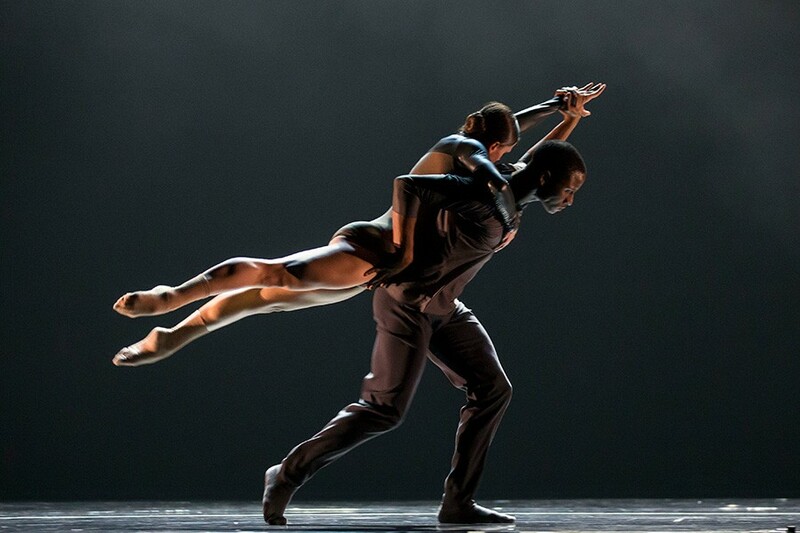 Choreographer Alejandro Cerrudo thrives in darkness. On a creative level, he starts each new project in the dark, abandoning what he discovered with his previous work to move down a fresh path. "When you try to reinvent yourself, when you try to push each work to be different, that creates a thrill, but it can be scary as well," says Cerrudo. "You find each work with nothing in front of you because you start from zero." Hubbard Street Dance Chicago, where Cerrudo has been the resident choreographer since 2009, returns to the Auditorium Theatre this weekend after 20 years with an evening of Cerrudo's work. The opulent space is a severe departure from the stark, industrial design of the company's resident home at the Harris Theater. For the program's world premiere, Out of My Mind, Cerrudo took inspiration from the new surroundings to shape his piece, and the depth of the Auditorium stage allows him to intensify the theatrical impact of darkness. "Having too much depth is not a problem," says Cerrudo. "It's something that I love. You can bring the light line further forward and have this beautiful never-ending darkness behind the dancers rather than seeing a backdrop. If you have enough depth on the stage, you can get the sense that there's nothing but darkness behind them. It sounds scary, but it's beautiful. You're not focused on that, you're focused on the dancers." An Evening of Alejandro Cerrudo. Fri 3/23-Sat 3/24, 7:30 PM, Auditorium Theatre, 50 E. Congress, 312-850-9744, hubbardstreetdance.com, $29-$110.